This is the first publication presenting the vintage prints of Mike Disfarmer (1884-1959), one of America's greatest portraitists. 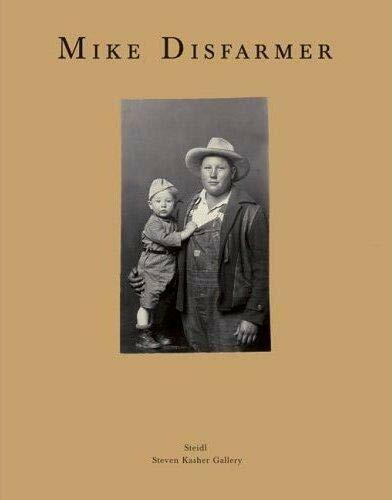 For a half century Disfarmer was the people's photographer of Heber Springs, Arkansas. He made studio portraits at pennies a picture to satisfy his rural clients, yet he was an odd genius who created a style of portraiture all his own. Until now Disfarmer has been known to the world only through prints made from negatives found years after his death. Now, with the discovery of his vintage prints, we get to see the pictures as he made them. Prima pubblicazione delle stampe vintage di Mike disfarmar (1884 - 1954) uno dei maggiori Dell 'America \ portraitists.